When on a quest or adventure, you need the right clothing. 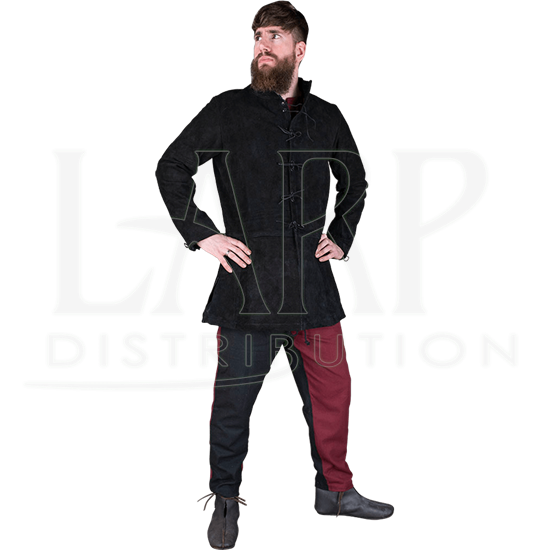 The right jacket should look stylish and suit your band of adventurers. Coming in five colors and five sizes, the Tilly Suede Hunting Jacket can add a rustic touch to an outfit. The suede jacket closes with ties through double holes on the front and the cuffs. Closing from the waist up, the jacket also features a straight collar. 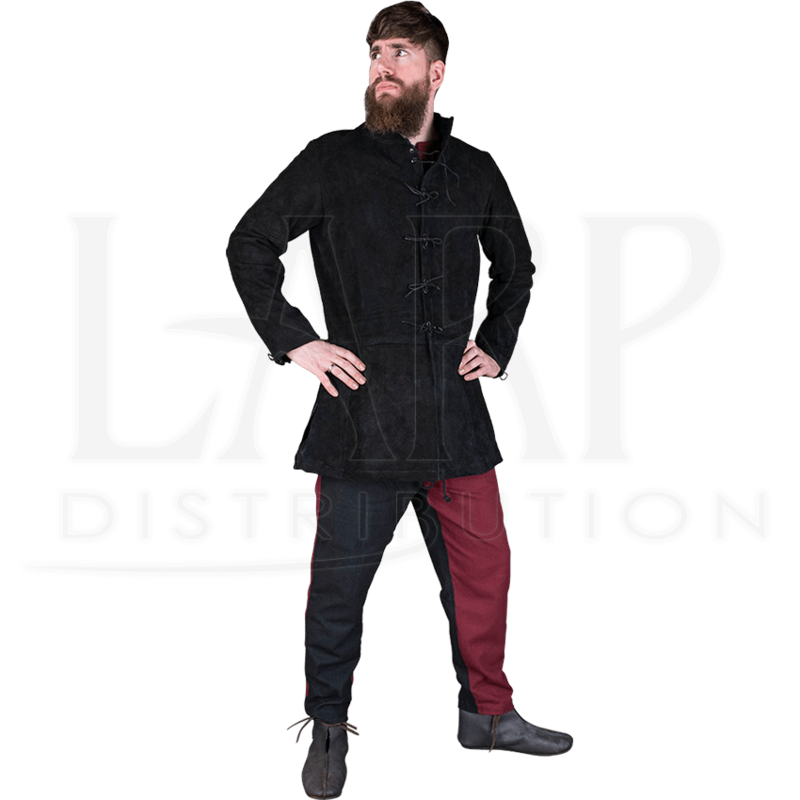 This medieval jacket is great for completing your ensemble when going to a LARP or historical event.